First submitted Wednesday, 29 October 2014 at 17:40:02 by Martin J Cansdale. 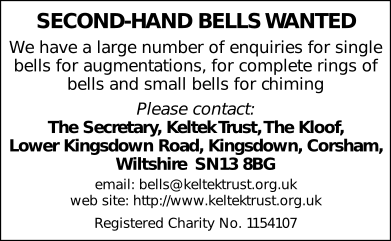 Sent for publication in The Ringing World on Saturday, 24 January 2015 at 09:01:16, and printed in issue 5415, page 139. This performance has been viewed 1242 times.